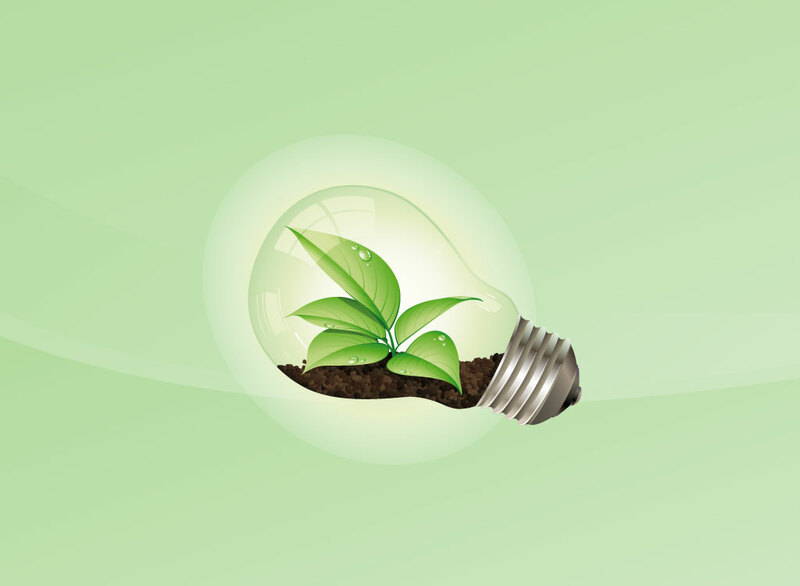 Realistic vector image of a light bulb with soil and plants growing inside it. Beautiful color work and lighting make this graphic perfect for ecology and green living themed projects. The free download can work well as an accompanying picture to a well researched article on the environment. Tags: Bright, Concept, Creative, Ecology, Energy, Idea, Innovation, Plants, Soil.